A sleek, new portable movie theater to fit your modern lifestyle, packed with features, content and best of all it goes with you anywhere. 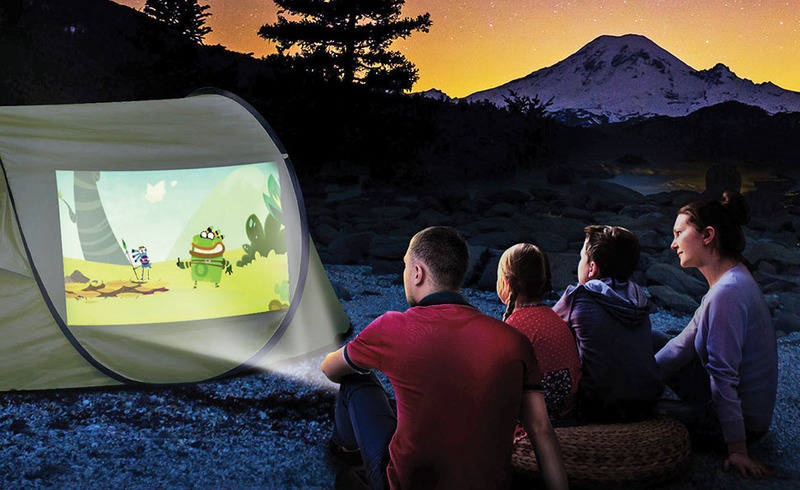 The CINEMOOD 3-inch portable, smart projector (CNMD0016WT) projects HD images over 12 feet to create screens on any surface up to 150 inches. CINEMOOD is preloaded with over 120 hours of family entrainment including Disney e-books and cartoons for anytime, offline access. Also, access and stream all your favorite shows and movies with built-in access to Netflix, YouTube and YouTube kids. The projector works as a standalone device - no need to connect to a computer, phone or wall outlet to create a magic movie theater anywhere. 35 Lumens makes CINEMOOD safe for kids eyes. Built In battery lasts up to five hours. 16 GB internal memory to save your own content and download videos from Netflix, Amazon and more. 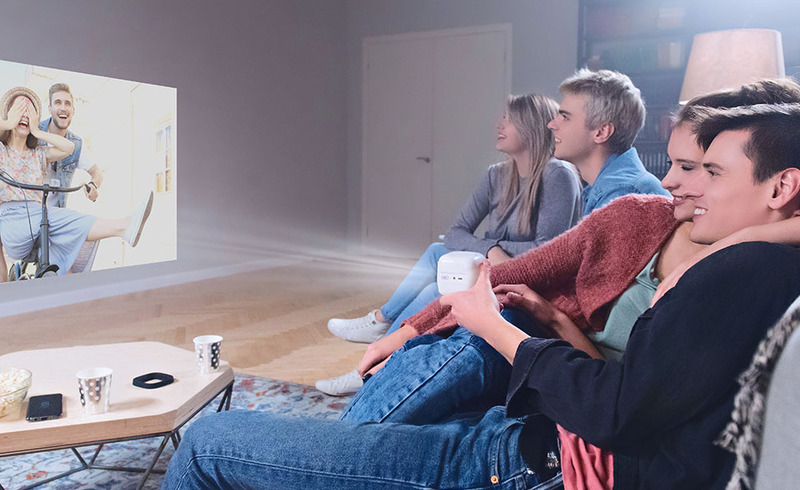 The CINEMOOD 3-in-1 Smart Projector streams any online content, including leading subscription-based platforms, creating an endless library of movies, shows, videos and more. 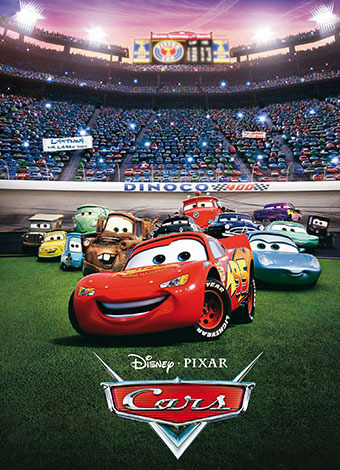 CINEMOOD comes pre-loaded with over 120 hours of cartoons, e-books, shadow puppets, lullabies, and bedtime stories, headlined by more than 65 titles from Disney including cartoons from Frozen, Cars and Mickey. Users can connect to WiFi and stream from their personal Netlix account or YouTube, and even download Netflix and other content directly to the device for offline viewing. 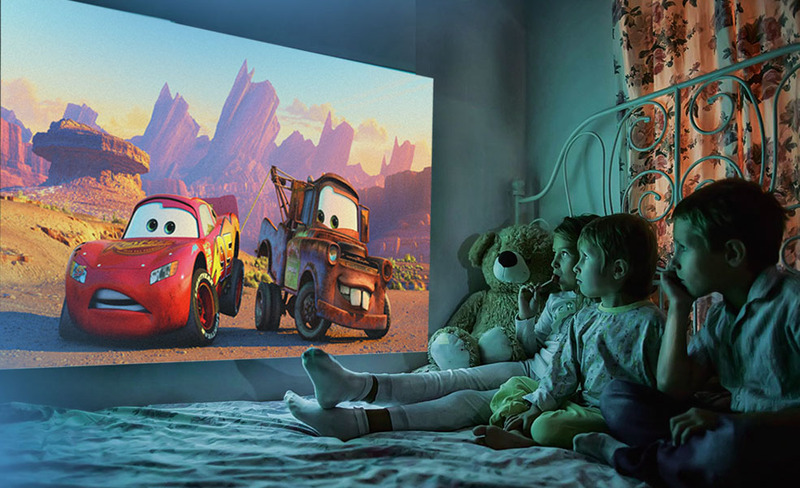 Content can be projected onto any flat surface inside or outside the home, creating a magical cinema experience for kids, parents and the whole family -- anytime, anyplace. 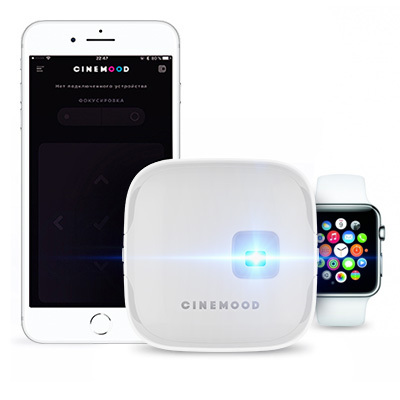 CINEMOOD also gives the eyes and brain a break, eliminating blue light, and providing a safer viewing experience than smartphones, tables, computers and televisions. With five hours of rechargeable battery life, the mobile projector is perfect for car rides, airplane travel, camping and backyard get-togethers. 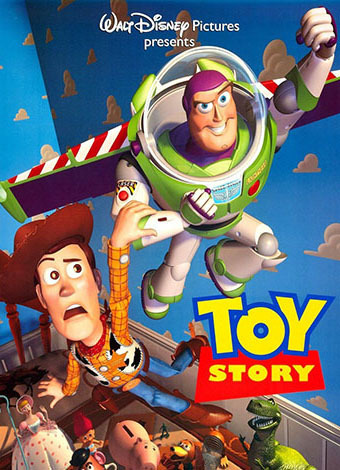 Enjoy enchanting, anytime access to over 65 preloaded Disney cartoons and stories. 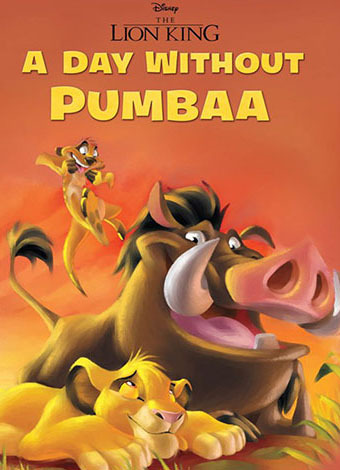 Learn safety lessons, read along with Elsa, Cars, Timon& Pumba and much more with Disney's favorite characters. 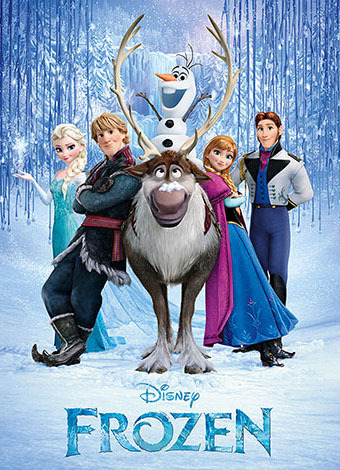 *Disney content is only available on CINEMOOD devices activated in the United States and Canada. Cuddle up and read along with everyone's favorite Disney Characters such as Frozen, Cars, Toy Story and Lion King, enchanting tales of Disney Princesses, Beauty and Beast, Snow White, and Cinderella, plus other stories with beloved Mickey, Aladdin, Little Mermaid, Wall-E, and many more. 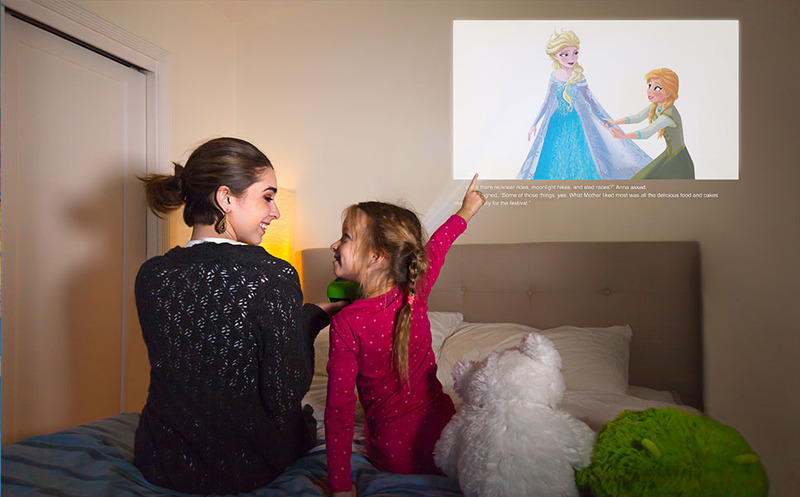 CINEMOOD is already packed with many more cartoons, e-books, shadow hand puppets, lullabies, and bedtime stories, that can be projected onto any flat surface inside or outside the home, so anytime can be special time with family and friends! Access and stream from your personal accounts on Amazon Video, Netflix, YouTube and YouTube Kids directly from your CINEMOOD. Or download Netflix videos directly to the device to enjoy anywhere, without WiFi. CINEMOOD brings the concept of “Netflix and chill” to the big screen, no matter where you are! Upload your own photos and videos and share them in a big way. Whether you are watching baby's first steps or reliving your walk down the isle — sharing the moments on a big screen with friends and family will create memories that last a lifetime. Noiseless cooling without a fan. Up to 5-hour rechargeable battery. Auto-corrects for visual Image distortion. Soft lumen light prevents children’s eye strain. Remote control with free iOS and Android apps. Remote control with Apple Watch. Keystone Correction Direction Automatic: +/- 40 deg. As a Cinemood authorized dealer, this product comes with a 1 year factory warranty. Real fun to have. My kids love it.